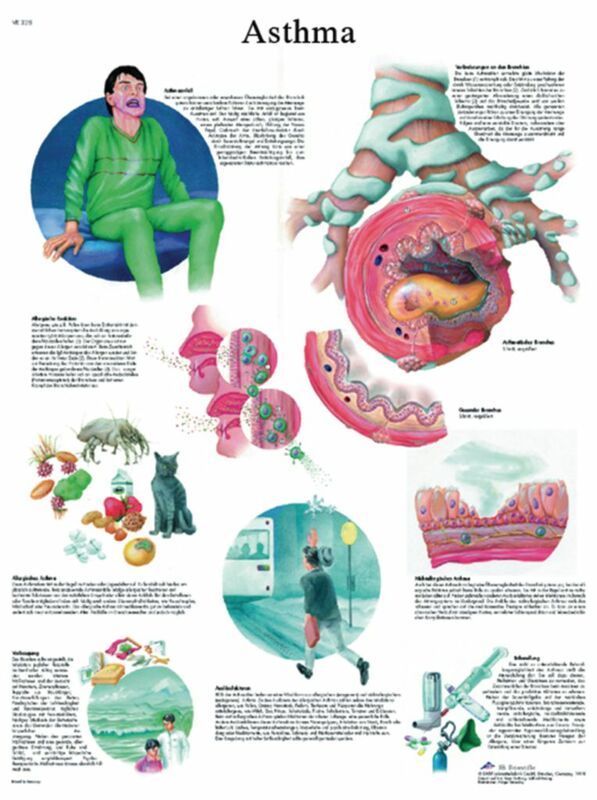 The colorful anatomy chart illustrates the anatomy of asthma. Treatment and triggers of asthma are also presented on this anatomy poster. This thickly laminated anatomical chart is printed on premium glossy (200 g) UV resistant paper and comes with 2 sided lamination (75 micron) 20x26''. 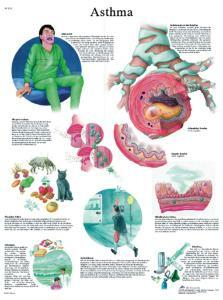 The colorful anatomy chart illustrates the anatomy, treatment and triggers of asthma.